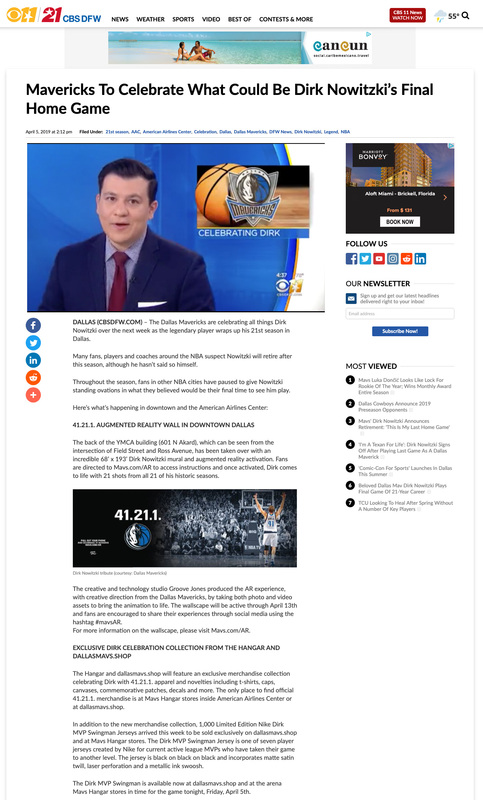 DALLAS (CBSDFW.COM) – The Dallas Mavericks are celebrating all things Dirk Nowitzki over the next week as the legendary player wraps up his 21st season in Dallas. Many fans, players and coaches around the NBA suspect Nowitzki will retire after this season, although he hasn’t said so himself. Throughout the season, fans in other NBA cities have paused to give Nowitzki standing ovations in what they believed would be their final time to see him play.